We nurture our young horses and ensure the have the very best start in life. From birth to when they leave Larkshill Stud the pastoral care of our horses is paramount in order to produce well behaved young horses that have the right temperament and attitude for their onward training. Diet is an important part of our horses’ well being; from grazing to fodder we ensure all our horses receive the best feed suitable to their individual needs. We pay particular attention to hooves; trimming and managing them as our babies grow ensuring they are confident with the routine from an early age. As with all our horses a strict worming programme is adhered to. 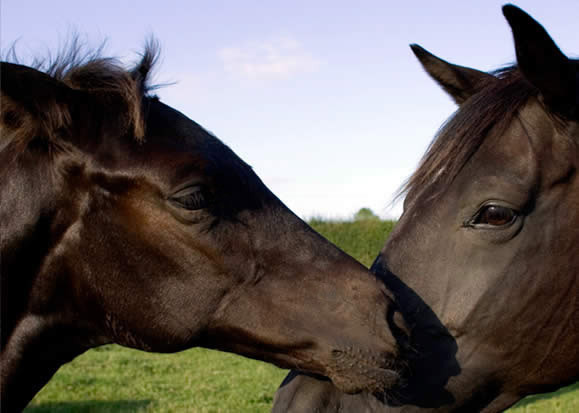 Our young horses are brought up in a safe environment with plenty of handling and love. We make all new experiences fun for them and not stressful - the end result is chilled out loveable young horses that are eager to work. Click on one of the links below to find out more information about that foal.